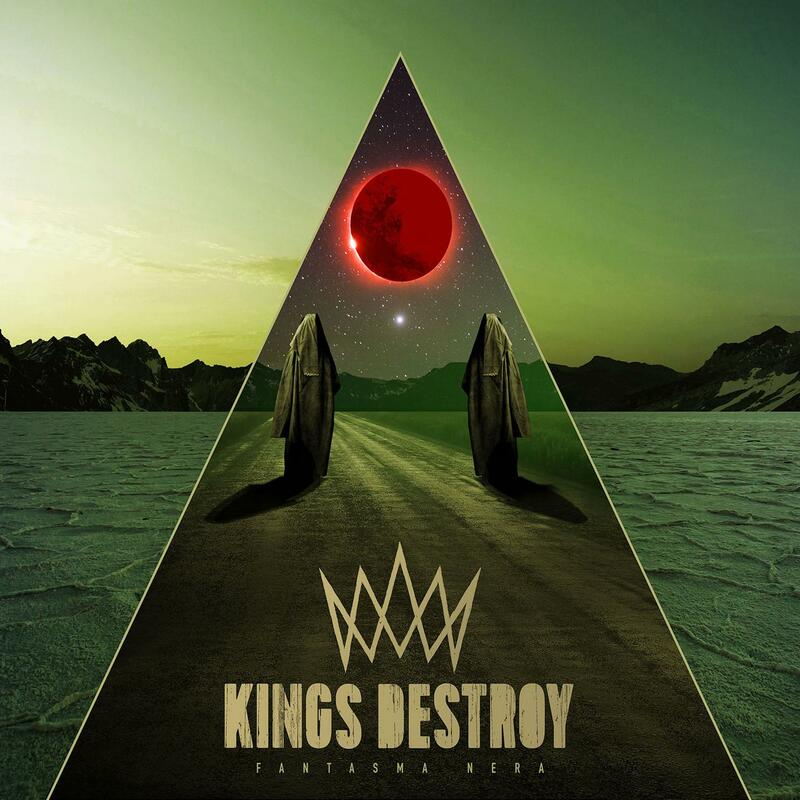 Following what seemed to be a definitive statement in their third, self-titled album and tours in the US, Europe, and Australia and New Zealand, Kings Destroy have stepped back and taken on their core identity as a band. Challenging each other every step of the way, they went to Toronto to work with producer David Bottrill (Tool, King Crimson, Stone Sour), and after paring down their approach and their songwriting to the most crucial elements, they crafted Fantasma Nera, an album that presents a wider creative breadth than anything they’ve done before. There’s still no shortage of impact in the material, and no shortage of confrontation. It is right there in the gang shouts on “The Nightbird,” or the melancholy storytelling of “Hollowing Out,” the unmitigated catchiness of “You’re the Puppet,” the uptempo bounce of “Barbarossa” and the New-Wave-meets-prog-metal of “Seven Billion Drones.” Kings Destroy are a band with history and an album honoring future possibilities. They have discarded genre confines and willfully pushed into new places as a group and individual performers, redefining the parameters of their style and writing songs that serve no master but themselves. Gatefold LP with gold foil and bonus 7″. Black vinyl. Limited edition on red/gold bicolor vinyl. 200 copies pressed. With foil-stamped gatefold jacket and a bonus 7″.